We work to provide a unique customer experience unparalleled in the local market by delivering great customer service with integrity and innovation. Using the latest technology, we serve customers in more than 110 communities across Illinois. 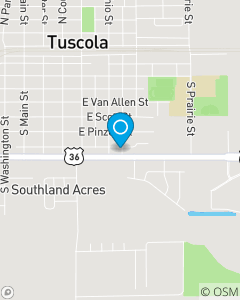 Whether you 're in Tuscola, the surrounding area, or Chicago, you'll love our personal service! Stop by our office, email or call for Good Neighbor service!